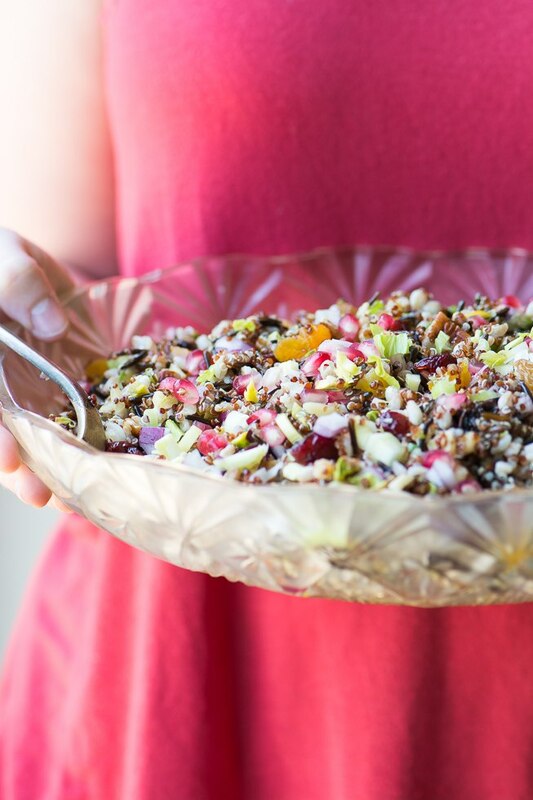 This pretty vegan Ancient Grain Salad is so versatile, it goes from holiday table to working lunch with ease, and it's as healthy as it is stunning. Toss all the salad ingredients together in a large bowl. Whisk the dressing ingredients together and add enough to the salad to moisten everything. Reserve any unused dressing for adding right before serving if needed. Cover and refrigerate until serving. The salad can be made up to a day ahead. Sprinkle with more pomegranate seeds just before serving.